Interest in designing high autonomy engineering systems using machines that employ intelligent decision making methods is growing in the US and abroad. In particular in designing systems (software, hardware) that are capable of decision making under significant uncertainty so that they are capable of highly autonomous behavior over extended periods of time. Such systems are termed intelligent systems and their development requires interdisciplinary research, as it involves concepts and ideas from Systems and Control Theory, Computer Science and Artificial Intelligence, Neural Networks, Robotics and Operations Research among others. Examples of such systems are space platforms with high autonomy (space station, satellites), intelligent systems in automated manufacturing, and in communication networks, intelligent systems in automobiles (intelligent suspension, brakes), intelligent systems in aircraft (flight control, safety), in autonomous underwater and land vehicles, intelligent systems in consumer products. For a system to exhibit highly autonomous behavior, certain characteristics must be present and a highly sophisticated decision mechanism, or controller, may be needed. Intelligent systems with high degree of autonomy should perform well under significant uncertainties in the system and environment for extended periods of time, and they must be able to compensate for certain system failures without external intervention. A highly autonomous control system provides high level adaptation to changes in the plant, environment and control objectives. Heuristic methods, in addition to more conventional ones may be necessary for the system to be able, for example, to design new control laws that perform novel control functions to meet new objectives while the system is in operation. In the autonomous system, learning from past experience and planning control actions may be necessary; also failure detection and identification may be needed. Such functions have been performed in the past by human operators. To achieve these capabilities, high level decision making techniques for reasoning under uncertainty and taking actions must be utilized. These techniques, if used by humans, may be attributed to intelligent behavior. Hence, one way to achieve high degree of autonomy is to utilize high level decision making techniques, intelligent methods. From this point of view, autonomy is the objective, and intelligent methods are one way to achieve it. 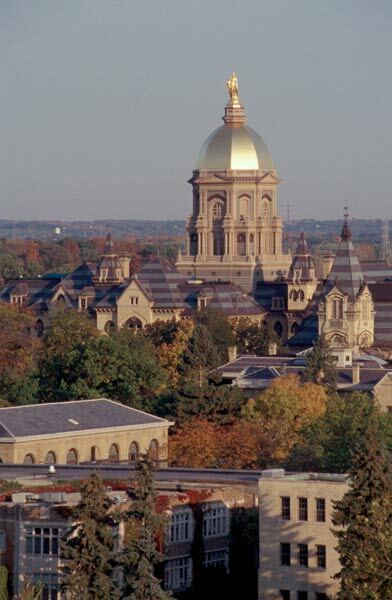 The Interdisciplinary Research group on Intelligent Systems (the ISIS group) integrates the research capabilities found at the University of Notre Dame to encourage progress in both theory and applications. Its specific aims are to promote excellence in research, to encourage research collaboration, improve opportunities for funding, promote sharing of resources (e.g. equipment), help attract more and better graduate students, contribute to the education of graduate and undergraduate students. In addition, the existence of such group helps focus available University resources from a variety of disciplines onto the emerging and rapidly growing area of intelligent systems. Basic research is emphasized, but also the development of methods that address current industrial needs. Cooperation with industry will be fostered both to assist in identifying important areas of research and as a continuous source of external support. The Director of ISIS is Professor Panos Antsaklis. See his Research Activities and Graduate Students.